Accidents happen on a daily basis and as a traveler, you need to be prepared. I don't usually find it anything to worry about but I have found over the years that it certainly helps to be prepared. The first aid kit is one of the most important things to help with that preparation, so it is therefore important to organize one when heading out on the road. The things we use 99% of the time are painkillers or band aids/bandages of some sort so adding those to your first aid kit is a great first step. However, It is also really important to be ready for that 1% chance that things may actually get more serious! Especially when you travel with children I find the peace of mind and convenience of having things already on hand is really valuable. A first aid kit gives you the ability to provide quick medical assistance while professional medical assistance is not yet accessible or even available at all. You can never overestimate the importance of a travel first aid kit especially during emergency situations. Someone around you may ingest a harmful substance, perhaps your child has an allergic reaction or is bit by a dog. Instead of being just a bystander, you can become an invaluable support to the victim. Band aids and gauze pads – these will help treat injuries of any size. Keep a pack of band aids and gauze pads of several sizes. Otherwise, you may just buy a large gauze pads and just cut them down to the size you need in case of any emergency. Antiseptic – an anti-septic will help prevent infection when cleaning wounds and scrapes. While you may use soap and water to flush out dirt and debris from a wound, antiseptics not only cleanse the wound but also provide pain relief. Antibiotic Ointment – this can go a long way and can also be used in cuts, wounds, and scrapes to prevent infection. Analgesic – this is a type of pain reliever that can combat migraines, toothache, and other forms of body ache. Include some ibuprofen and aspirin if analgesic does not work for you. Antihistamine – if in case you suffer from severe allergies, antihistamines such as Aerius tablets will help combat the negative effects it brings. I also have found them useful for dealing with hives, bee stings, or even scorpion sings like we experienced while living in Costa Rica. Disinfectant and rubbing alcohol – Alcohol wipes are more ideal when on travel but it’s best to have a rubbing alcohol or disinfectant on hand. You can usually pick this up quite easily when landing someplace as well. Scissors – it should be obvious why you need scissors but they really come handy in case of emergency when you need to cut clothing, adhesive tapes, or any materials needed in emergency situations. But be careful if using only carry on as you won't be able to get scissors through. Only add them if you have checked bags. Latex Gloves – Using latex gloves is a clean and necessary way to protect yourself against bacteria or other contaminants during emergency situations. I've found them helpful even in a non medical situation to deal with a whole host of gross things you may want to protect your hands from. Tweezers – they can be used to remove hang nails, stingers, splinters, and ingrown hairs. I've found you can usually get these on a plane even if you only have carry on. Instant Cold and Hot Pack – you can apply them on bruises, bumps, and sprains. They sell pretty small ones so having one on hand is great. Sometimes I even carry a small heating pad as personally they help for a whole bunch of uncomfortable things such as cramps, headaches, etc. Other things to include in a first aid kit are motion sickness tablets, contraceptive pills, and prescription drugs. It is also important that you search for emergency numbers in the country you are visiting to ensure your safety. I usually ask at the front desk when checking into a hotel so I feel less panicked if something goes wrong in the middle of the night! A thorough research about the common diseases in that area is also helpful to know what you will do in case you feel bad while traveling. Traveling is fun only if you know you are safe, and often having a health kit in your bag gives you the assurance that all will be well during your vacation. This is by no means an all inclusive list and each family will have their own needs but I find it to be a good basic start. 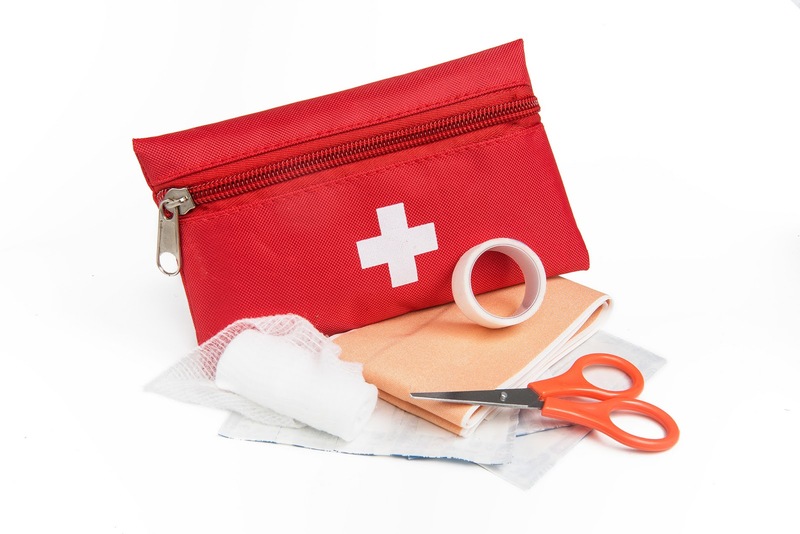 What first aid supplies do you travel with? Ever had to use any of it? Tell us about it in the comments below! Great post! Check out our coverage of Hanauma Bay Hawaii as well!